The Rashtriya Swayamsevak Sangh may back 48 year-old Keshav Prasad Maurya for the post of Uttar Pradesh’s Chief Minister, party sources tell Moneycontrol News. 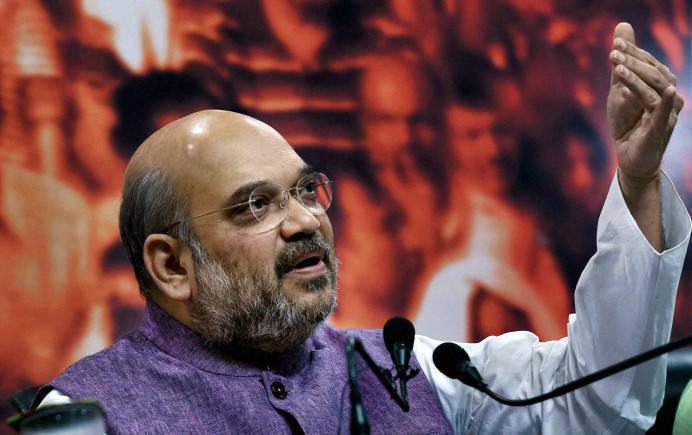 Maurya is the state president of BJP in Uttar Pradesh.Bhartiya Janta Party President Amit Shah and RSS strongman Bhaiyyaji Joshi are reported to have met in Mumbai on Friday and discussed probable candidates.Sources say Amit Shah proposed five names to Joshi. Also in the running for the CM post are Sunil Bansal, Yogi Adityanath and Srikant Sharma.The RSS is said to be in favour of Keshav Maurya because of his proximity to the organisation.“RSS always backs candidates who are more inclined to their ideology; that has been evident in the choice of the Maharashtra and Haryana CMs,” a source said.Keshav Prasad Maurya was associated with RSS, Vishwa Hindu Parsihad and Bajrang Dal from an early age, and later went on to hold the posts of Nagar Karyawah and VHP Pranth Sanghathan Mantri.There are other factors likely to work in Maurya’s favour, like his being the President of the state BJP unit, and his caste. Maurya belongs to the OBC (other backward community), which matters in a state where almost 40 percent of the population are from backward communities.Keshav Prasad Maurya hails from Sirathu in Kausambhi district, adjoining Allahabad. He studied Hindi Literature at the Hindu Sahitya Sammelan in Allahabad.Like Modi, Maurya too had an impoverished childhood and sold tea and newspapers when young.Keshav Prasad Maurya contested the 2002, 2007 and 2012 assembly elections and was the sitting MLA from Sirathu assembly constituency before getting elected as MP from the Phulpur Lok Sabha constituency seat in 2014 with an eye-popping five lakh votes and over 52 percent of the total votes polled.